Ethan Hunt will be back once again saving the world. 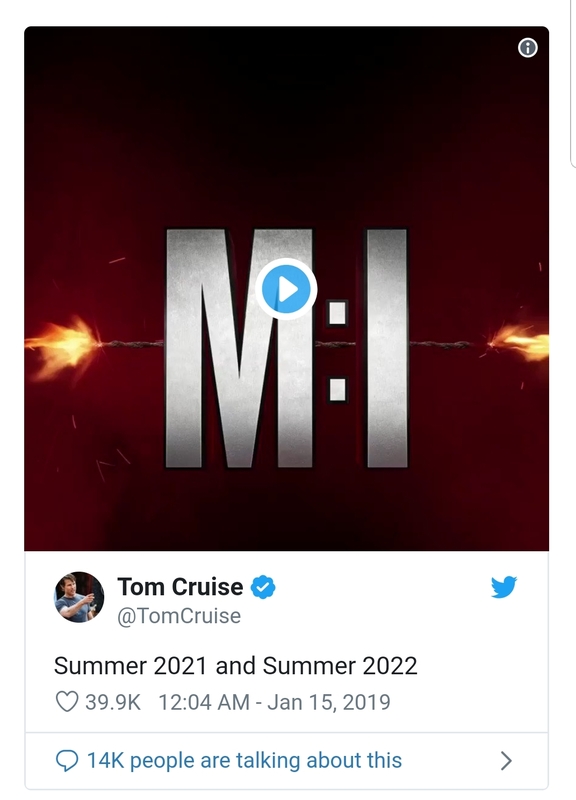 Filming will take place back to back which hopefully means a closer story line similar to the last two instalments Rogue Nation and Fallout, which I enjoyed immensely. Few years to wait, but glad to see the series continue.